Malta’s cash-for-passports scheme has been described by the government’s concessionaire, Henley & Partners, as the best in the world for millionaires who want to buy citizenship. As the firm gears up to its 12th Global Residence and Citizenship forum in Dubai, in which Prime Minister Joseph Muscat will again be among the key speakers, the Switzerland-based company said a new study it conducted again ranked Malta’s scheme as the best in the world. “For the fifth consecutive year, the Malta Individual Investor Programme [as it is technically known] is the top-ranking citizenship-by-investment programme in the world,” it said. Malta is followed in the ranking by Cyprus, which entered the EU together with Malta in 2004, and Austria, the only other EU member State that sells citizenship, although in a much more restricted scheme. The other countries included in the passport selling scheme ranking are Antigua and Barbuda, Moldova, Montenegro, St Kitts and Nevis, Grenada, St Lucia, Dominica, Jordan and Turkey. The controversial scheme, introduced in 2013 when Labour gained power, was designed for the government by Henley & Partners. Through the scheme, hundreds of millions of euros are landing in Maltese coffers, helping the island to register a surplus in its Budget. 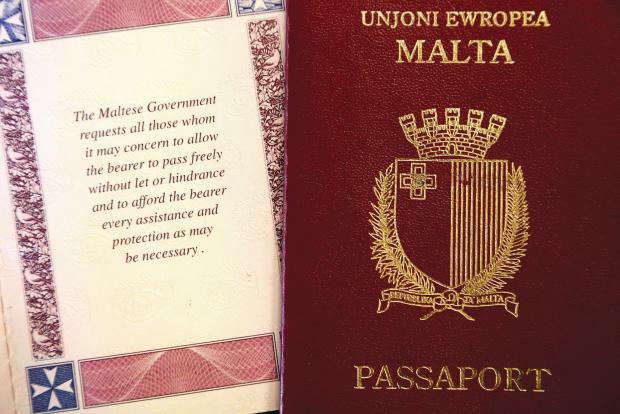 Millionaires can opt to buy a Maltese passport by donating about €650,000 to the Maltese exchequer and abide by other obligations such as acquiring a property valued at a minimum €350,000 or rent for a minimum of five years. Since its inception, Dr Muscat has shown active interest in the scheme, globetrotting to speak at conferences and events organised by Henley & Partners. The scheme was put under his direct political wing after the last election. He delivered presentations on the Maltese scheme in the UK, Miami, New York, Singapore, Geneva, Turkey, Dubai, Lebanon and Switzerland. Through an agreement with the EU, the Maltese government agreed to sell only 1,800 citizenships and would close the scheme once the cap is reached. However, in May 2017, Dr Muscat said he was considering to lift the cap and expand the scheme. The EU is currently looking into such schemes, aiming to introduce rules on how EU citizenship can be acquired in the future. The OECD last week put Malta in its blacklist together with another 21 States offering some type of cash-for-passport schemes deeming such programmes to undermine international efforts against tax evasion.